There are significant private collections of pre-20th century American painting within the United States, but the only major European collection is owned by Baron H. H. Thyssen-Bornemisza of Switzerland. Assembled between 1979 and 1985, and dependent on a dwindling supply of major works, this collection is, nonetheless, rich and rewarding, with many major works to its credit. Consisting of 109 paintings by 55 artists, it is representative of all genres, though emphasizing landscape. While we miss works by, for example, Eakins, Cassatt, and Ryder, the collection is strong in Hudson River School and Luminist painting, and enriched by little-known gems. Arranged chronologically, this sumptuously produced and sturdily bound catalogue raisonne combines substantial texts with high-quality color reproductions of all the works, enhanced by comparative illustrations in black-and-white. 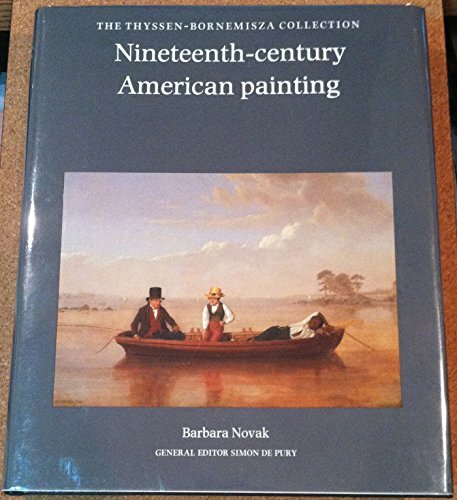 Recommended for all American art and American studies collections.Jeffrey Weidman, Oberlin Coll. Libs., Ohio<br />Copyright 1987 Reed Business Information, Inc.